Rent La Jolla Shores Hotel | Corporate Events | Wedding Locations, Event Spaces and Party Venues. 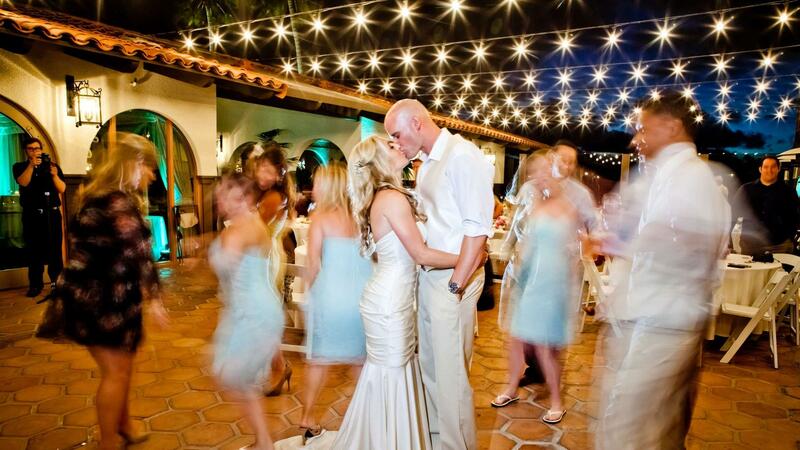 The La Jolla Shores Hotel offers a truly unique setting for your wedding celebration. Nestled along beautiful La Jolla Shores Beach, we are one of the only hotels to offer wedding ceremonies directly on the beach. Our menus and services are customized to exceed your every expectation. Nothing says forever like a setting by the sea, with waters that stretch out to the horizon and beyond. Imagine miles of beach and ocean breezes going hand-in-hand with thorough planning, perfect execution and incomparable value at the La Jolla Shores Hotel. Perched on the sands of La Jolla Shores, we are one of the only hotels in San Diego to offer wedding ceremonies directly on the beach. Our Garden Patio is a perfect outdoor location year-round, while the Acapulco and La Jolla Rooms offer ideal, intimate indoor spaces. Location is everything. So set the stage for a flawless affair with venues that fit any occasion, set apart by sweeping views of the Pacific. The experienced, onsite catering department will handle everything from menu selection and set-up to serving and clean up – all while providing exceptional service so every guest enjoys their time. Plan the perfect outdoor banquet, host an intimate dinner or corporate gathering, or treat guests to a laid-back barbecue on the beach. Here, there’s a venue for every occasion. Our premier event space has no roof – and no limit to the beauty and drama of gentle breezes, warm sun and the world’s greatest ocean. As one of the few hotels in San Diego situated directly on the beach, our oceanfront area is the perfect setting for your corporate event, wedding ceremony, reception or BBQ. Our Garden Patio, which covers approximately 3,500 square feet, enhances every outdoor event with a wonderful setting of beautiful Spanish Saltillo tiling, lush flora and a serene fountain. Located steps from the beach and nestled in the greenery, this patio is the perfect venue for large parties up to 200 guests. Located on the second level, the Acapulco Room is our largest indoor meeting space and offers an ocean view and outdoor tri-level terrace with panoramic views of the ocean, La Jolla Cove and Scripps Pier. With the capability of separating into two smaller spaces, it is ideal for break-out sessions or for a more intimate setting. The Acapulco Deck provides the perfect venue for coffee breaks, lunch breaks and photos.